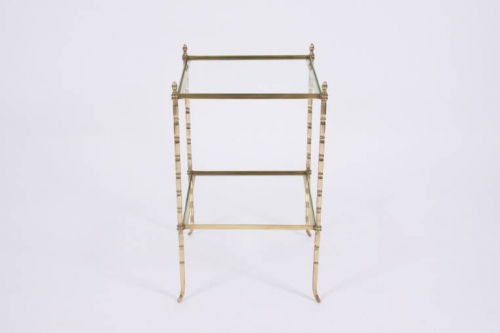 Very elegant single square side table in brass. Two tiers with detail son the legs. Clear glass shelves.